Main > Blog > Laser Eye Surgery: Where to go in Toronto ? Laser eye surgery is a procedure that is strongly recommended by optometrists for some, but chosen more as a personal preference for others. There are different types of laser eye surgery available in Toronto, and the best part is that none of them require going under the knife. Whether laser eye surgery is necessary or right for you depends on the kind of procedure you would be willing to undergo and the reasons you're considering it. This article includes brief descriptions of common laser eye surgeries, and resources for locations that offer this procedure in Toronto. Bochner Eye Institute, located at 40 Prince Arthur Avenue in Toronto, received the Top Choice Award for Laser Vision Correction Services in 2015. It was also voted number one according to the best laser eye surgery places in Toronto on Yelp reviews. Boschner has a Dry Eye Clinic where people who suffer from dry eyes can receive a custom treatment plan that pinpoints the reason they have dry eyes and the proper way to fix it, and offers procedures including Lasik, PKR, Keratoconus, Laser Cataract Surgery, and lens implants. Lasik eye surgery is best for correcting nearsightedness (myopia), farsightedness (hyperopia), and astigmatism, which is an abnormal curvature of the eye that can result in blurred vision. A laser is used to reshape the cornea by either flattening it for people with nearsightedness or making it steeper for people with farsightedness. PRK was invented before Lasik and uses a similar process, but the recovery time tends to be longer. 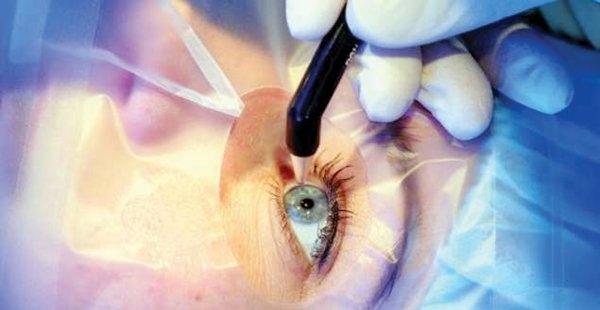 This is likely because while a “flap” is created during Lasik, the surface cells of the cornea are removed during PRK. Whether or not you would be a good candidate for PRK is heavily dependent on your individual eye anatomy as patients with a thinner cornea are ideal candidates. Keratoconus is a progressive disease where the cornea becomes cone-shaped and distorts vision as a result. The treatment option offered at Boschner is corneal cross-linking treatment that uses a Riboflavin Eye Drops and a UV-A light for correction. This procedure could reduce the nearsightedness and astigmatism that is common in patients with keratoconus, and even stop the disease progression. The most common of all ocular conditions, “presbyopia”, literally translates to “old eye”. As the name implies, it usually occurs in people who are middle aged or older adults, and is the reason why most of our parents and grandparents wear glasses – it can start as early as age 40 and is usually noticed when people begin experiencing blurred vision while reading, sewing, or working at a computer. As we age, the lens of the eye can lose their elasticity and cause far-sightedness, although the level at which this occurs varies from person to person. This can be fixed with eye surgery that is offered at Bochner. See & Be Seen Eyecare (171 E Liberty Street) was voted number 2 for laser eye surgery institutions on Yelp, and it offers other services such as comprehensive eye health examinations and contact lens prescription in addition to Lasik. Their eye health examinations include full retinal imaging and include evaluation for cataracts, macular degeneration, and glaucoma. Dr. Ritesh Patel, winner of the 2015 Patient's Choice Award for Toronto Optometrist, is the optometrist at this location. Check out our list of optometrists in Toronto to get Dr. Patel's contact information and find other professionals near you. If you're concerned about financing, Lasik MD, located at 1 First Canadian Place, offers correction starting at $490 per eye. If you find a clinic with a lower price, they will match the price and deduct another $100 from your procedure. They also offer the option of low monthly payments upon request. Not only is Lasik MD reasonably priced, it was voted number 3 after See & Be Seen on Yelp reviews. 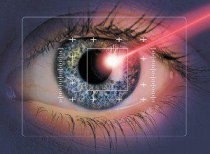 In general, to be eligible for LASIK surgery, candidates must be over the age of 18. They must be in good health overall and cannot have certain conditions including autoimmune disease or uncontrolled diabetes, and shouldn't be pregnant or nursing as hormones may negatively affect prescriptions. Are you wondering if you're a good candidate for Lasik surgery? A short screening test that provides you with a custom report is available here. There are downsides and risks to every surgery. Even after a successful procedure, many people will notice increased sensitivity to light or a glare at nighttime. This usually subsides a few months after recovery, but in some rare cases can last up to a year. Dry eyes could also become an issue, but treatment like artificial tears could be a quick fix until the condition goes away. Regardless of whether a patient experiences side effects, laser eye surgery presents definite life-changing opportunities for people with severe vision problems.